The elephantine (770 leaves) manuscript will of Rène Hatte, tax collector under Louis XV, on vellum (1762?). On Thursday, April 2, 2015, the Law Library mounted an exhibition of forty works as a centerpiece for a double-header of receptions in the Tasher Great Room. First, the Library welcomed a delegation of law clerks visiting Washington from the European Court of Justice in Luxembourg. GW Law School Dean and AALS President Blake Morant and Associate Dean for International and Comparative Legal Studies Susan Karamanian delivered welcome addresses to the clerks along with Law Library Director Scott Pagel. 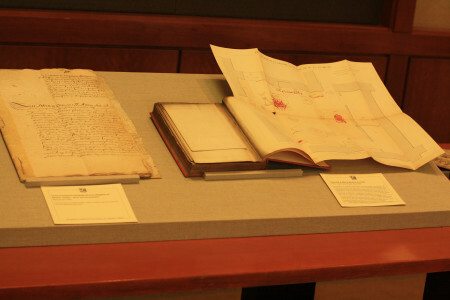 The ECJ clerks were delighted by the exhibition of incunabula, early French customary law, trial documents and guides (including witchcraft trials), Litchfield Law School student manuscript notebooks, and historical works, including a number of scarce early American works. The Assassinat de Mme la Duchesse de Praslin (1847) with its folding plan of the murder scene was a show-stopper (“Is that real blood?”). But it was the first editions section that captured the clerks’ attention to the fullest degree. In that section, the scarce firsts of legal theorists Montesquieu (De l’Esprit des Loix ) and Beccaria (Dei Delitti et Delle Pene, 1764) shared the stage with Grotius’s 1625 De Iure Belli ac Pacis Libri Tres, John Selden’s Mare Clausum (London, 1635), and Blackstone’s Commentaries on the Laws of England (1765-68). Montesquieu and Beccaria stole that show handily; the clerks took turns photographing themselves holding and “reading” these two works, and then returned to visit them after studying the rest of the forty works on display. In the early evening, the Law Library hosted a champagne reception for the Washington Rare Book Group (WRBG), a gathering formed in the 1970s when a clutch of aficionados came together to share collecting interests and broaden their rare book horizons. 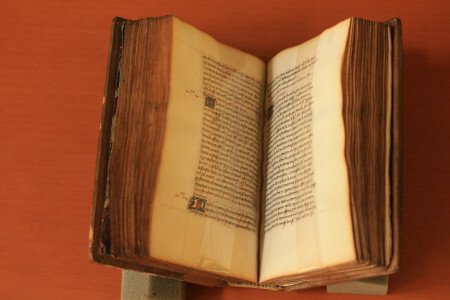 The group, which now numbers approximately 100 members, includes rare book librarians, collectors, and booksellers, and welcomes all who are interested in rare books. WRBG holds regular meetings, usually “field trips” to collections of interest in the Washington, D.C. area; past meeting highlights include a panel discussion at an auction house, tours of exhibitions at the Library of Congress, the Smithsonian Institution Libraries, and the Folger Shakespeare Library, and a day trip to the Book Arts Press in Charlottesville. Its year-end spring event traditionally is held at Fort McNair, a historic Army post established in Washington in 1791 on the point of land where the Potomac and Anacostia Rivers meet. Left: A Knights of Malta manuscript trial document, circa 1649, presenting the laws, rules, and regulations of the Order. Right: A collection of inquest documents, Assassinat de Mme la Duchesse de Praslin (1847) opens the scandal of the Duc’s murder of his wife the Duchesse to the world. The Duc committed suicide before he could be brought to trial. Right: Coustumes de Bretagne (between 1456 and 1460) is from the era of ducal Brittany before the region was incorporated into France in 1532. 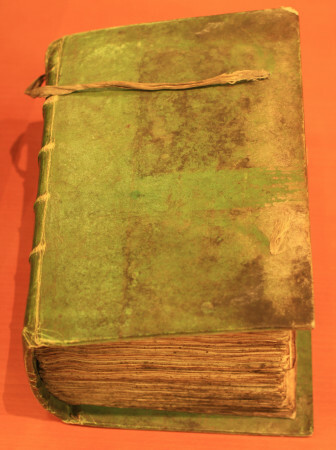 This particular manuscript was known to Marcel Planiol, who wrote about it in his study La Trés Ancienne Coutume de Bretagne (1896). Leslie Overstreet of the Smithsonian Libraries, former president and now program coordinator for WRBG, introduced Jennie Meade (Director of Special Collections) and Scott Pagel (Director of the Law Library), who in turn respectively gave a brief overview of the exhibition and some background on how the collections were formed. Dean Pagel focused on the arrangement between the GW’s Law Library and the New York City Bar Association, which has resulted in a number of the Bar’s rare materials and its historical foreign law collection finding a new home at GW. The relationship is ongoing and it will take several years to complete the entire transfer. 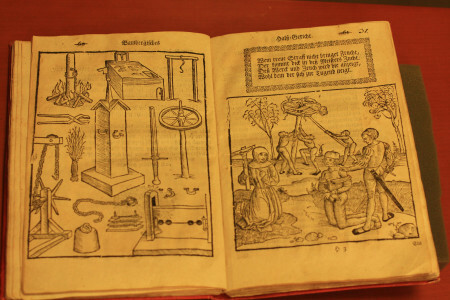 Bambergische Peinliche Halszgerichtes-Ordnung (1580) is noted as a precursor to the Carolina Code of the Holy Roman Empire. Its explicit rules of procedure set forth how torture was to used in obtaining a confession. 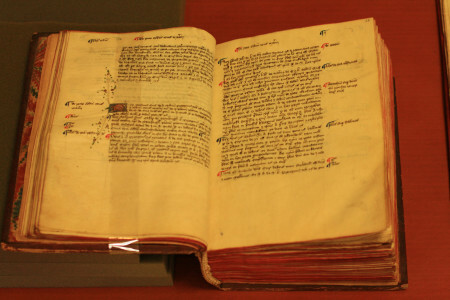 This circa 1470 Register Brevium is a lavishly-produced example of a manual of original writs, written in Gothic MSS on parchment with generous use of red, blue. and burnished gold for paragraph marks and initials.